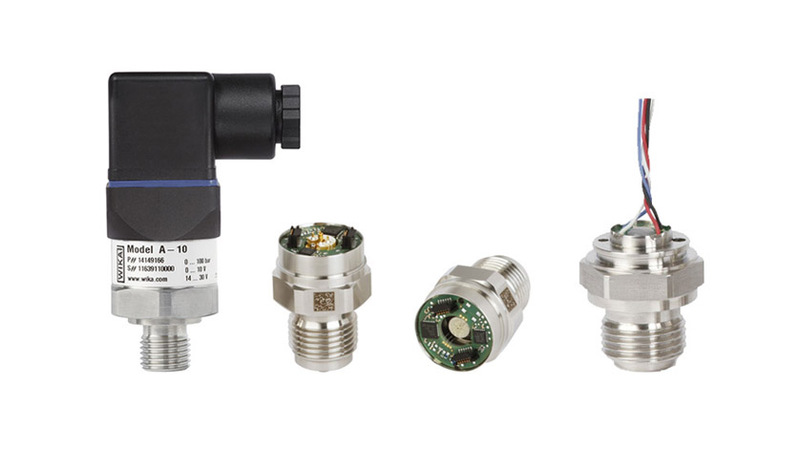 A pressure sensor (also pressure transmitter) delivers a standardised, processed signal within a housing with commonly available pressure connection and electrical connection. Typically, it can be coded and ordered as a catalogue product and thus provides the customer with a plug-and-play solution. Nevertheless, customised versions are possible when backed up with a corresponding “business case”. A pressure sensor module is designed for OEM applications. It delivers a standardised and calibrated signal, but can be customised with regard to connections and size. EMC protective measures must be arranged in the customer application. Sensor elements and their assemblies deliver an uncalibrated signal in mV/V and can be designed to suit the customer through corresponding modifications of the pressure connection or addition of a case etc. Here the customer is responsible for the calibration and thus for the accuracy achieved.